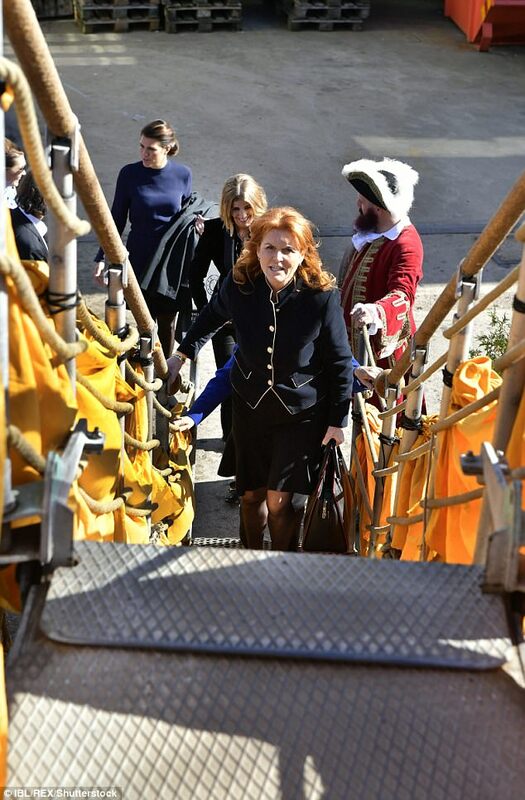 The Duchess of York wore a suitably nautical jacket as she touched down in Sweden on Thursday ahead of a charity ball in support of marine conservation. 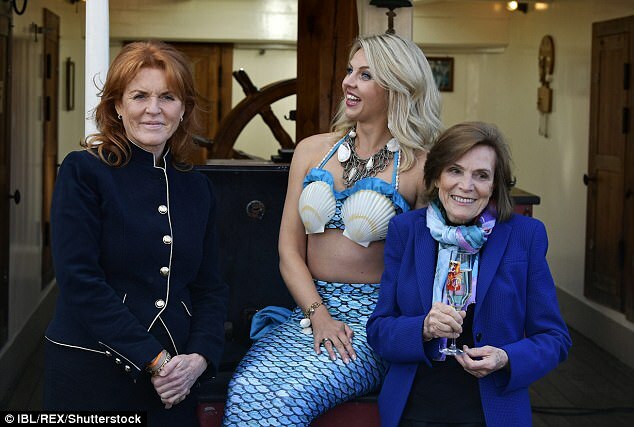 Sarah Ferguson beamed as she posed for photographs in Gothenburg alongside the US marine biologist Sylvia Earle, and a woman dressed as a mermaid. The Duchess is expected to attend the Ocean Ball 2017 later, a gala dinner planned by the non-profit the Perfect World Foundation. 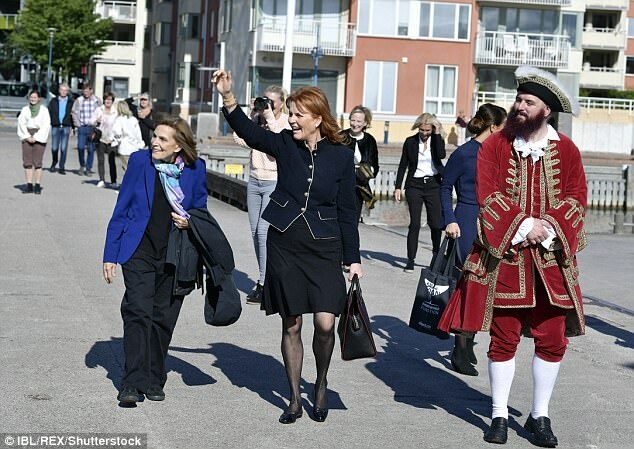 The 57-year-old – who only the day before met with teenage cancer patients with her youngest daughter, Princess Eugenie – works closely with the foundation and also attended last year’s Elephant Ball in the Swedish city. 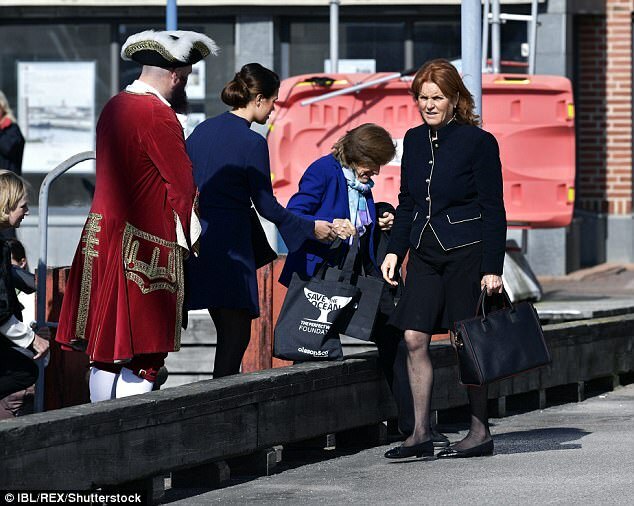 The busy mother-of-two made a speech to young patients on the Teenage Cancer Trust ward at Alder Hey Children’s Hospital in Liverpool, watched by the Princess. 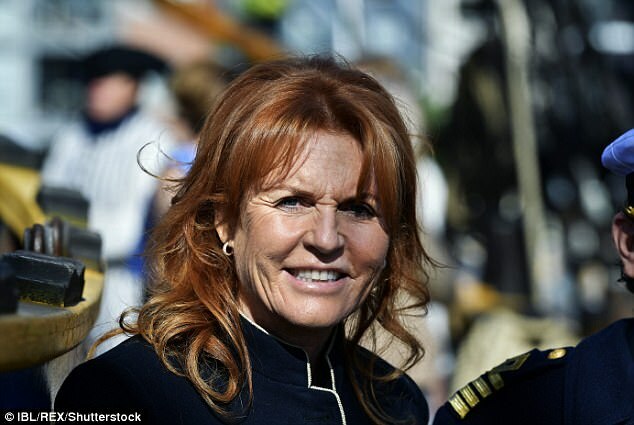 But on Thursday the Duchess, who is an honorary patron of the Trust, turned her attention to another organisation she has close ties with; the Perfect World Foundation. This time last year Sarah flew into Gothenburg to attend the Elephant Ball, which was also organised by the foundation. 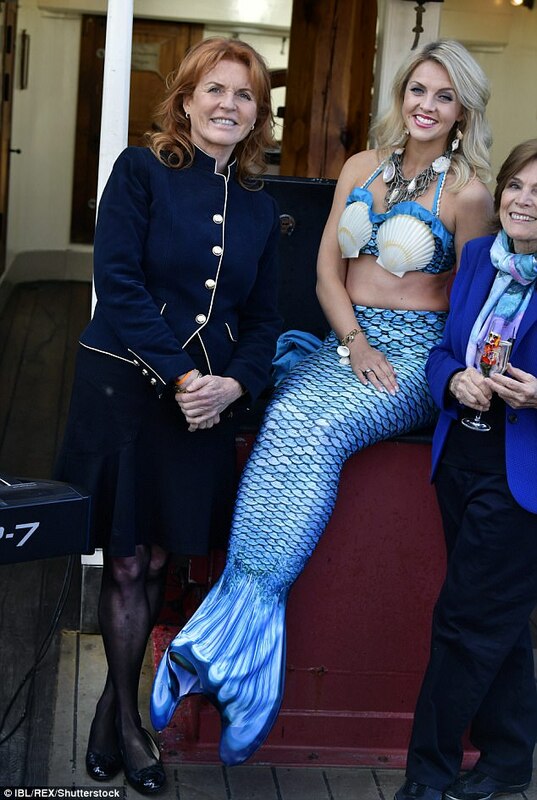 Her appearance with Dr Earle suggests she will again be attending the foundation’s gala dinner, which this year is promoting the importance of protecting the world’s oceans. 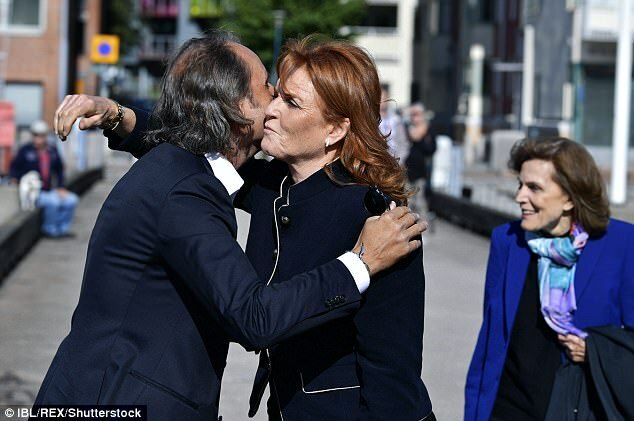 Fergie was also seen warmly greeting Lars Jacobsson, a co-founder of the Perfect World Foundation, with a kiss on the cheek.